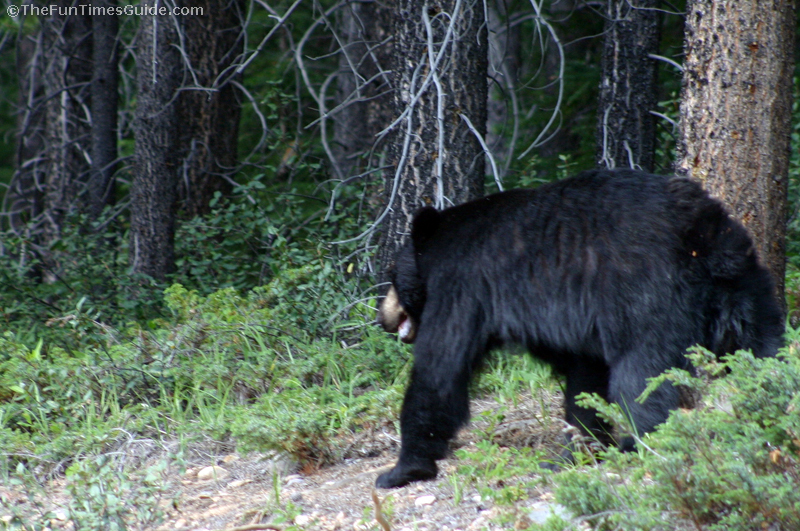 We actually saw tons of really cool wildlife while in the Canadian Rockies. 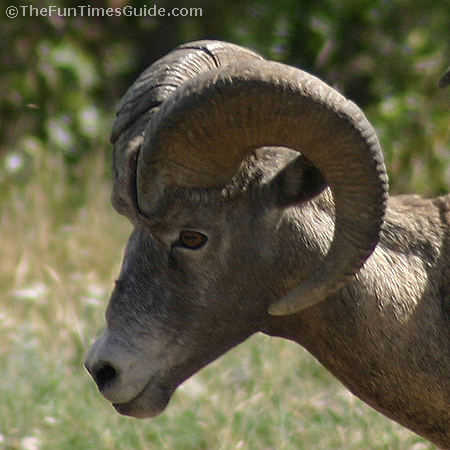 Most of them were seen within the Jasper National Park — a park filled with nature’s beauty at its finest. Nothing but wilderness and mountains in every direction that you look. Jim and I were completely captivated by the awe and beauty of such a majestic place. Unfortunately, we didn’t get as many photographs of the wildlife as we would have liked. Half the time, we were taken by surprise when we were driving by and spotted wild animals, and it simply wasn’t possible to turn back to photograph them. At other times, the park rangers were pushing us onward and forbidding us from stopping along the roadside. At the same time we spotted this Coyote on the roadside (right before we reached the town of Edson, Alberta), we saw a Grey Wolf cross the road. We did a U-turn to go back and take some pictures of these two. The wolf crossed the road right in front of us. Unfortunately I couldn’t get a picture… he was too quick and it was too dark. (Actually dusk, so we could see them clearly, but the camera’s flash just doesn’t reach far enough to let you see them in the photograph very well.) Here you can see the original photo of the Coyote, and a lightened version of the same pic. 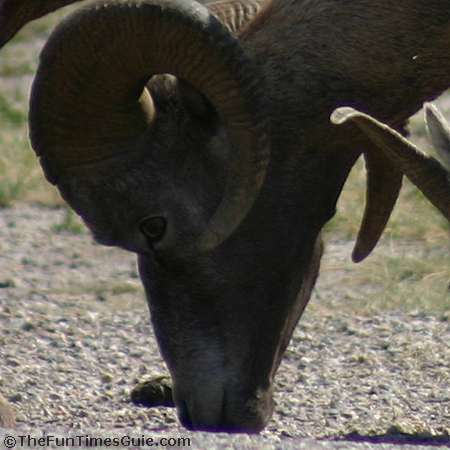 These Bighorn Sheep (or rams, as Jim calls them) were just grazing on the side of the road in the Jasper National Park. Vehicles continued to drive fast right past them… even semi’s, which practically blew them off the road. Still, they kept returning to this patch of gravel for whatever munchies they found there. You can see how close they are to people. And they remained in this particular spot for so long that people eventually became oblivious to them. 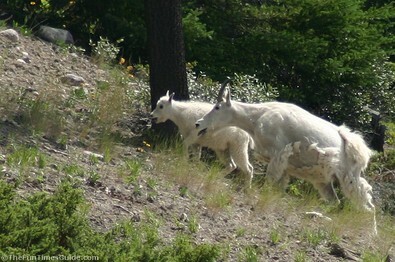 Here’s a shedding mama Mountain Goat and her baby. It appeared that they had just crossed over from our side of the road — where the water was and then started walking up the hillside across the street. They were very slow, and grazing along the way. 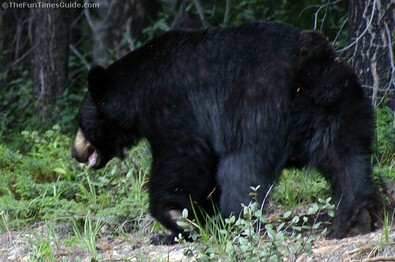 We were actually much closer to this Black Bear at first, but the park rangers made us get back in our car. 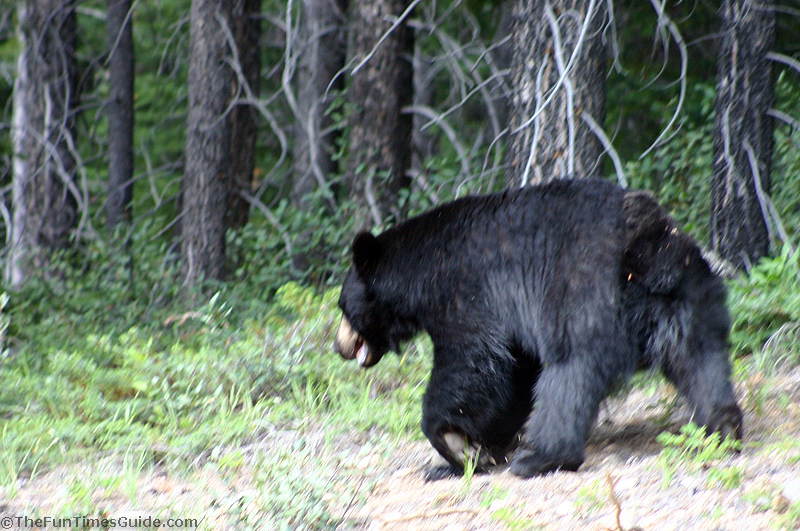 So we did a U-turn and tried to follow the bear from our opened car window. 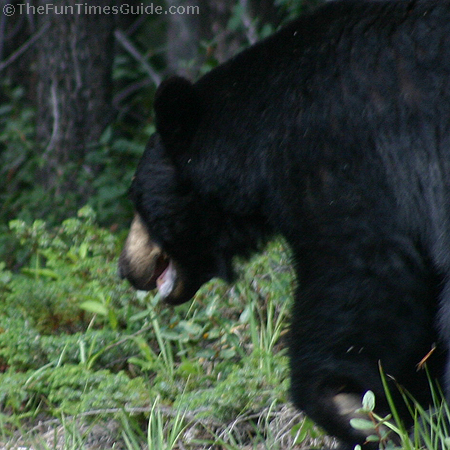 When we first spotted the Bear, it was munching on berries very close to the road. As cars started stopping, it retreated farther into the woods. We also saw another Black Bear munching on berries a few miles down the road from this one. But we couldn’t stop.